In Paris, a city of art, Master's grace pleased the aesthetically-minded French people. 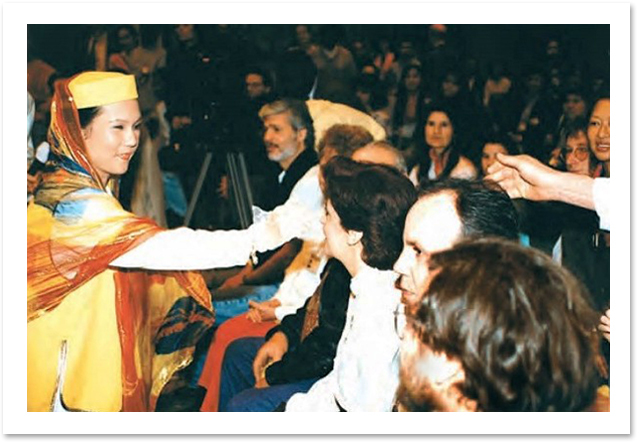 Sister Hsiong, a former contact person and one of the few fellow initiates in Paris at that time, told of wonderful experiences. "When we were decorating the lecture hall, a security man in plain clothes came to us inquiring about the upcoming gathering. 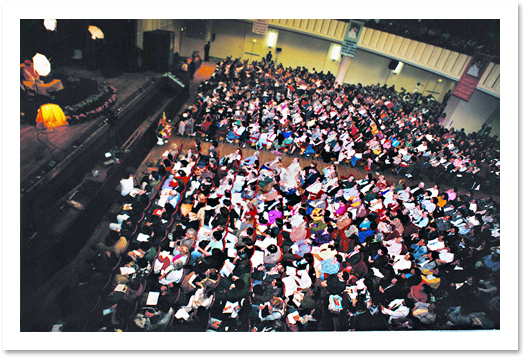 Seeing the lecture hall with a capacity seating of 2,000 people, he cautiously asked us how many members we had in Paris. Learning that we had only four members, his serious expression turned sympathetic as he kindly suggested that we should find a hall with a smaller capacity. Luckily we did not listen to him! The hall that seats 2000 was completely filled for Master's lecture." "The four initiates in Paris were all females and not very strong physically. When we unloaded 50,000 sample books, the truck driver was amazed at our strength, swiftness, and teamwork and our stamina. We were not one bit tired! Instead, hundreds of boxes of books were neatly stacked on the roadside. Even passersby could not help having a look at us, as if seeing a miracle, especially when bearing in mind the life of elegant ease that many French people lead. In retrospect, without the help of guardian angels, it would have been impossible for us to move the 50,000 sample books to our Center on the sixteenth floor immediately after unloading the books from the truck." The preparations for the lecture went smoothly along with a few favorable situations. Some beauty-loving French men and women were drawn to Master's picture, thinking that She was a movie star or a master of cosmetology. They thus came to us asking questions and happily took the leaflets. The lecture in France was a great success. 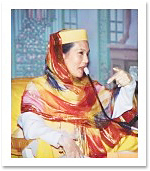 Master spoke mostly in French although She had not used the language for a decade. In the lobby of the lecture venue, Master's artistic works, including Her paintings, fan paintings, longevity lamps and stone writings, were displayed. These art works emitted an air of heaven. The people of France love art and seemed to have great affinity for a Master with the artistic talent and taste of The Supreme Master Ching Hai.